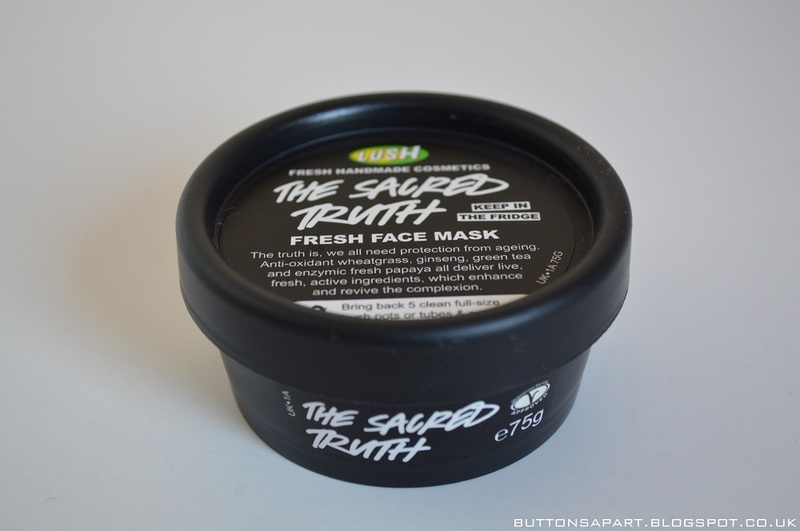 In today's post we're reviewing The Sacred Truth Fresh Face Mask from Lush. 'In here we have ginseng and green tea for their antioxidant effects. Fresh wheatgrass for its natural superoxide dismutase (SOD) – which are free radical scavengers. Rich, softening ingredients like linseed, eggs, evening primrose oil, shea butter, lanolin, coconut oil and honey to be soothing and moisturising. Clays of kaolin and talc will help clean the skin and papaya will help dissolve dead skin cells. First things first as you can see from the picture the sacred truth face mask is green in colour, and not the most pleasant green in the world. The scent is not that lush either, we think it's the wheat grass. In terms of consistency the face mask is thick and applies smoothly on to the face like a thick cream. Once applied onto the face the mask dry's up. As it dry's it starts to feel tighter on the face. After the initially application our face felt really tight as if it had undergone botox or something. The mask needs to be washed off, which can be a bit tricky but plenty of warm water and some large cotton pads will do the trick. After removing the mask we both agreed that our face felt softer and looked brighter. 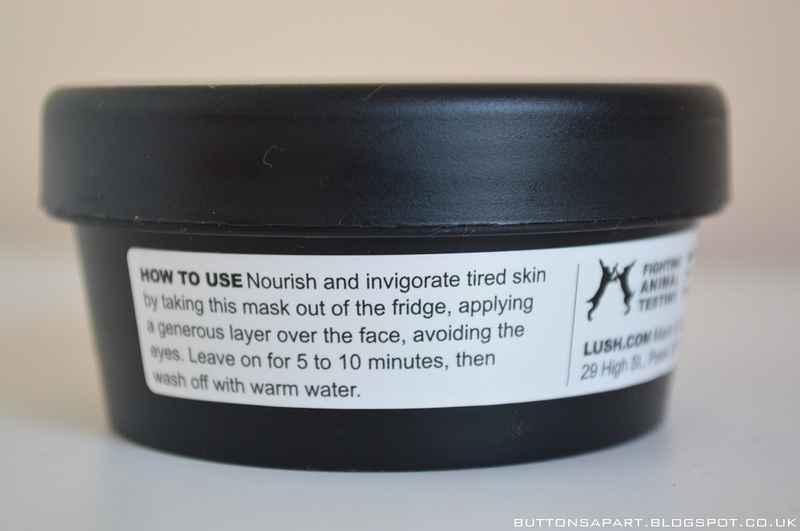 The mask was lovely and cold to apply on to the skin and we felt truly refreshed afterwards. 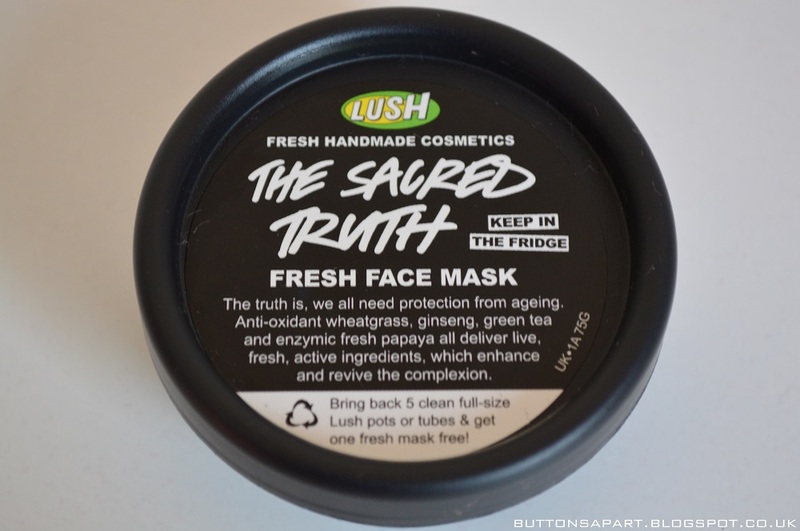 We loved that the mask is freshly made from all natural ingredients and is vegetarian society approved. The fact that we are putting only fresh ingredients on our skin free of nasty chemicals makes us feel a lot better, after all whatever you put on your skin will get absorbed. As the face mask is freshly made the shelf life is short, around three weeks and it needs to be stored in the fridge. What we would say is that you get a lot of product, which normally we wouldn't mind but when there's a use by date stamped on it, you don't want the product to go to waste. In total over the 21 days the product was in date we got 12 applications from one tub. If we had not shared the tub we would have had to apply the face mask every 1-2 days in order to use up all the product. Personally we feel that's a bit over excessive on the face mask front. You may want to bear this in mind and maybe the mask purchase it when your having friends over, or go halve's with a sister or a friend. Looking at it on the bright side you do get your money's worth. However if Lush did decide to half the size and half the price we would have no objections. This is the first fresh face mask we have tried from Lush and it has definitely wet our appetite to test out some of the other flavours. 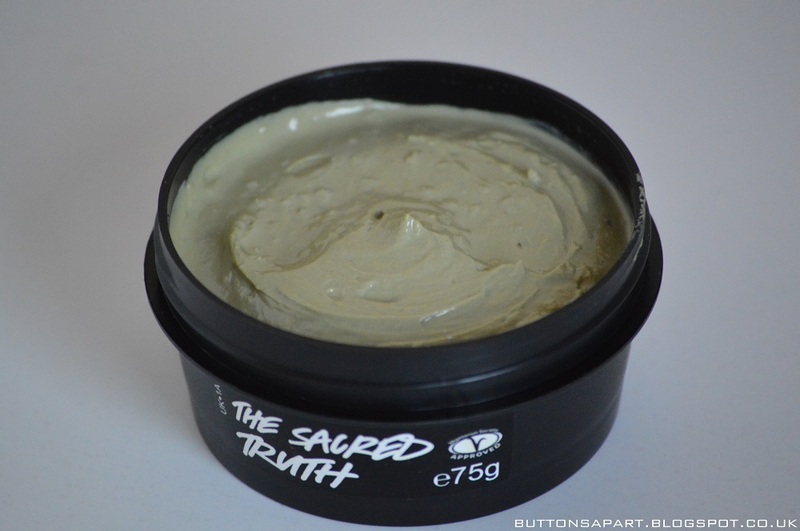 The face mask comes in a tub which makes it easy to obtain the amount of product required and to use it all up. Yes! We would love to try out some of the other fresh face masks from Lush and see how they compare. Have you tried the Lush Sacred Truth Face Mask? Which Lush fresh face mask would you guys recommend for us to try next? hi dear! thank you for the comment on my blog, I'm a new follower on GFC and bloglovin and I'd love it if you followed back :D I wish we had Lush in the Philippines. Lush is amazing brand ! I love it! I love Lush, so I'm going to try it! Ooh I may have to try this too! Eu não conhecia esse produto. Eu adorei o blog, muito lindo mesmo. Vou sempre estar aqui. The product looks and sounds very good from your review! thanks for this review! very helpful!